We've just finished a short pickup shot for one of the Wookey Hole Hotel adverts we filmed with Colour247 at the end of last year. We built a small bedroom set in our studio to film a green screen shot of a 'magic duvet' being pulled up - you can see the string but you wont see it in the final film! This was originally shot on location but it hadn't worked properly so needed to be re-shot to complete the advert. 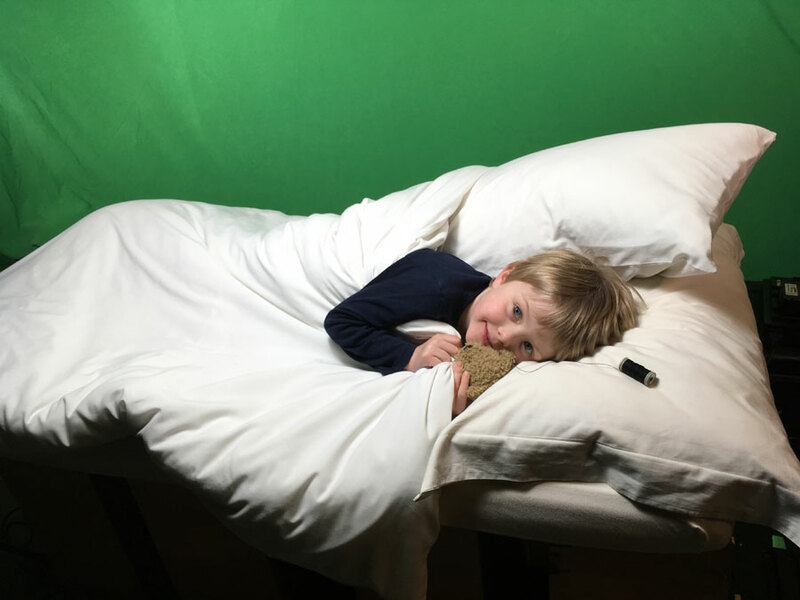 After a bit of testing with teddys as placeholders we were ready for Finley to get back from school and he was happy to lie in bed without much prompting! If you need to hire lighting or cameras or need crew for your next production then please get in touch to discuss your requirements however big or small.